The Mid-term Conference of the CLIC project (27 and 28 March) is meant to address the project goals and outcomes with a broad international audience, including national and international experts on the CLIC topics, as well as students, professionals, academics, politicians and stakeholders from Rijeka and Croatia. The conference has been organized to offer deep insight to the city of Rijeka and its present activities in the field of cultural valorisation and adaptive reuse, as well as to display successful stories from all over Europe. To this aim, the conference has been organised to share stories on Rijeka from its main stakeholders, as well as international speakers from other EU projects, other EU realities dealing with Circular Economy and heritage conservation and adaptive reuse, as well as experts in the field of Historic Urban Landscape and Culture Economics. The first and second day will be also characterised by the study visit to the main pilot sites of Rijeka and their Historic Urban Landscape (i.e. the Riecina River and the industrial area of Energana). This is going to be a great opportunity to present the plan for Rijeka 2020 European Capital of Cultureand the many successful results achieved so far as well as the implementation phases of the Task Force on Circular business and financial models for cultural heritage adaptive reuse in cities, sharing ideas and results with CLIC twin projects. Within the Midterm Conference, Rijeka will host other two events. Indeed, the third HUL Workshop will take place on 28th March (10:155p.m. – 4 p.m.). Coordinated by the CLIC partner TU/e (Eindhoven University of Technology), the Historic Urban Landscape workshop will challenge the local stakeholders in Rijeka together with the partners to define, through the HUL approach, the main cultural project implementation bottlenecks and barriers in the city and brainstorm solutions to overcome them. The stakeholders are local authorities, practitioners, NGOs, policymakers, researchers, and SMEs who are actively involved in the domain of cultural heritage, circular economy, and urban planning. The third day will be dedicated to the Peer-Review meeting, hosted at RiHub on 29th March (9 a.m. – 1 p.m.). This will be a great occasion for knowledge exchange among cities, confronted to the problems and solutions in the heritage projects in Rijeka. 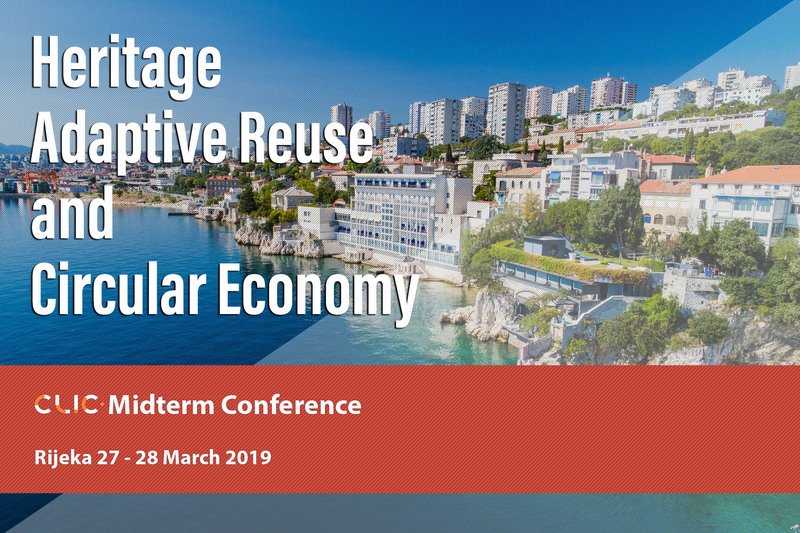 This activity will be restricted to the CLIC cities and partners as well as stakeholders in Rijeka dealing with adaptive reuse and circular economy.